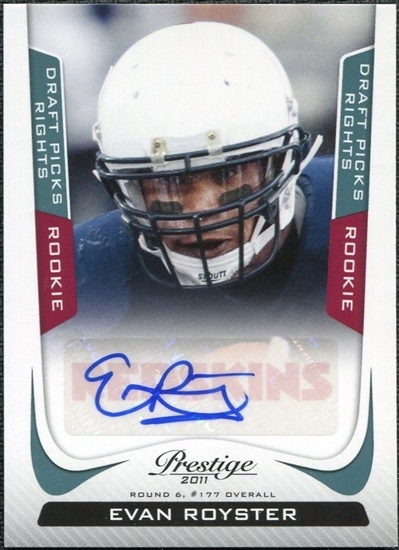 2011 Panini Prestige certified autograph Rookie Card of former Penn State superstar running back Evan Royster, drafted by the Washington Redskins. Numbered #571 of 599 produced on the back. ONLY ONE AVAILABLE FOR SALE.